mothermade: How words like “lucky” and “grateful” hurt me. 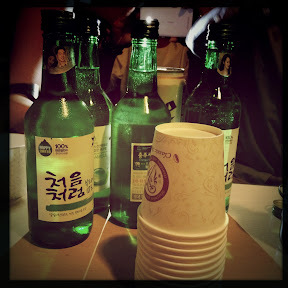 My last night in Korea, I was on a high with my new Korean adoptee friends (KADs). The pain of the last week fell away as we laughed and sang at a karaoke bar. Yet, this morning, the reality of returning home hit me hard. First, I absent-mindedly left handmade paper I had bought from a famous Korean calligrapher behind at a counter. While it seems silly to most, I cried when I realized I would not get it back (as it was left outside security). I also shared my distress with my fellow KADs. A few who were leaving after me used their precious preflight time to retrace my steps and found it. I was already on the plane, but they said they would mail it to me. They touched me and healed that silly sore. The second blow of my flight back was a family that sat within eyeshot. Their daughter was just over one year, and they were traveling with the grandparents. The mother looked as mothers do … tired yet strong. The beauty of watching this Korean family interact just brought up the longing. The longing to have that connection with my foster mother … the longing to be embraced by my Korean family … the longing for roots. 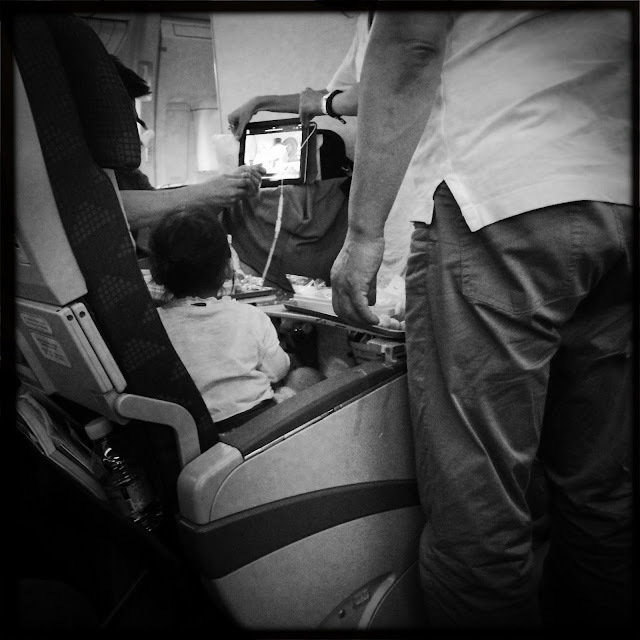 As the grandmother strapped the little one on her back with an airplane blanket, I flashed back to a time when I may have spent my time strapped to someone’s back. I tried to distract myself with the magazine … then this. 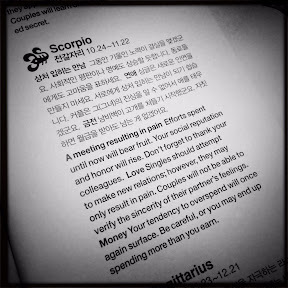 “A meeting resulting in pain.” I know too well the false expectations of fortunes and horoscopes, but then, I had this encounter. This encounter came after a time when I thought I had come to terms with my loss. But I haven’t. I am raw and aching. I know I should feel fortunate, lucky and grateful that I had this experience in Korea. But those words just boil me down to generalities and adoption stereotypes. It is time to change the language and stop using words that make me feel diminutive and my search trivial. P.S. my nieces (on my natural father's side) are Puerto Rican. 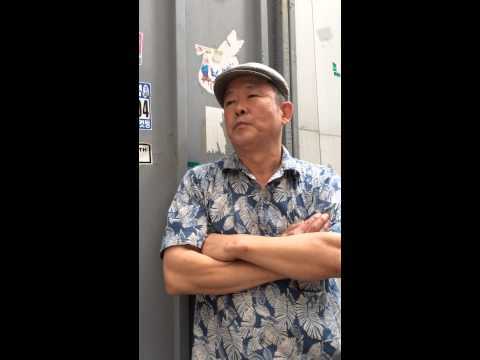 Hi Mark, he was telling me that I had come to Korea and him b/c my spirit was broken. Thanks for your comments.